Can an app help you determine "why is my baby crying?" Although this kind of technology can be extremely useful for parents with disabilities, is it something that is even necessary for others? So much has changed since I had a baby 9 years ago. I mean, have you seen those food pouches? We now have the best baby tech like cameras instead of audio baby monitors, new discrete ways to pump milk, and now we have an app that claims to be able to interpret a baby’s cries. To all the parents who have asked the question why is my baby crying, this app could be the answer. Much like the device Homer Simpson’s brother Herb invented, the baby translator. 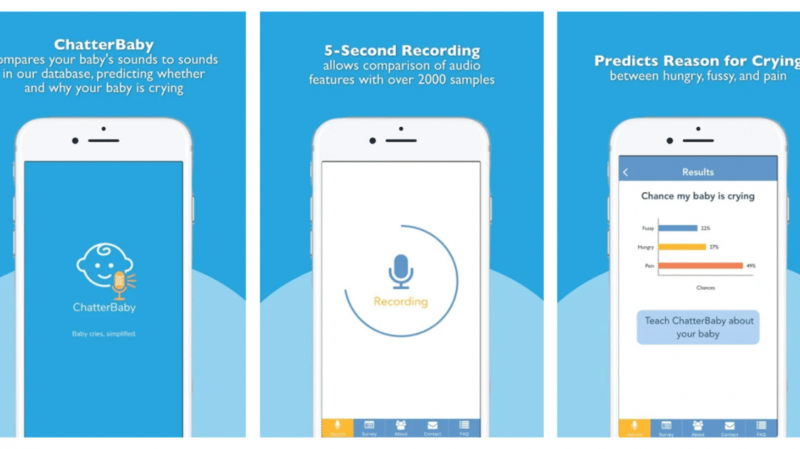 Unlike the Simpson’s translator device, this app can only translate cries into 3 categories. The app is called ChatterBaby and it is currently available on Android and iOS. The company claims it can predict with a 90% accuracy if your baby is in pain, hungry or just fussy. The science behind the predictions is extremely interesting though. Over 2000 cries were uploaded and analyzed. Painful cries were received from babies getting vaccines or ear-piercings, and other types of cries were submitted and labeled by mothers who know. For example, they found that cries due to pain had more energy and fewer silences. 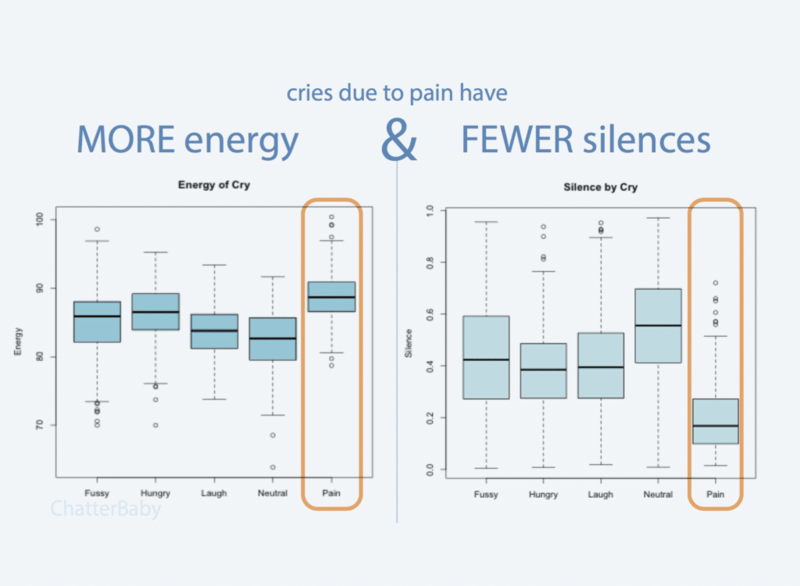 Other types of cries were analyzed similarily. Originally designed to help Deaf parents understand “Why is my baby crying?”, ChatterBaby is a project at UCLA inspired by Dr. Ariana Anderson, mother of four and professor at the UCLA Semel Institute for Neuroscience and Human Behavior. I can definitely see a benefit for parents with disabilities. I’m curious, though, if this app would be very helpful to other parents. Aside from trying to feed a child that is actually in pain, there really isn’t much you might do differently for a fussy baby or one who is in pain. Although, I could see is an influx of paranoid parents bringing their child to the doctor because the app told them their child was in pain. The question becomes, at the moment, when your baby is crying and you are just trying all the tricks in your book to get them to stop, will you really take the time to pull out your phone to interpret the cry? Most likely you will have figured it out before you can even reach for your phone. Someday your child will be able to tell you their tummy hurts when they are supposed to be going to bed. That is the app I need. A lie detector that scans their body and says NOPE, you are not in pain or thirsty, go to bed!